We are book lovers, so we visit the library at least twice a week and we check out several books each time we go. As we walk around in the Children’s Department, I’m always looking for books with brown faces on the covers. And when I spy one, I always take a closer look at it. This willy-nilly method of roaming the library in search of books featuring characters of color wastes time and often yields few results, so it’s not a technique I recommend. However, there is a resource you can use to find self-reflective Black books for children and I think it’s a resource you’ll want to own. Black Books Galore: Guide to Great African American Children’s Books by Donna Rand, Toni Trent Parker, and Shelia Foster is a great title to have on your homeschool resource shelf. It is an A+ guide that can help Black homeschoolers find books with African or African-American themes. You no longer have to wonder how to find Black books for Black children! The book is divided into four different sections: books for babies and preschoolers, books for early readers (grades K-3), books for middle readers (grades 4-6), and books for young adults (grades 7-9). Each section includes an alphabetical list of books titles, short summaries of each book, and an occasional accompanying book cover illustration. In addition, each book is numbered for easy reference. If you’d like to search for Black children’s books which meet certain criteria, you can do so using Black Book Galore’s title index, author index, illustrator index, or topical index. In addition, a list of Reading Rainbow books is offered and books are also categorized according the literary awards they have won (Coretta Scott King, Newberry, and Caldecott Awards). It’s important for African-American children to read stories with characters who look like them. Such books can build a child’s self-esteem and inspire him to do great things, all while encouraging a love of literature. And when you exhaust all of the titles in this book, you can enjoy subsequent titles by the same authors. Summer is an excellent time to dive into great literature. 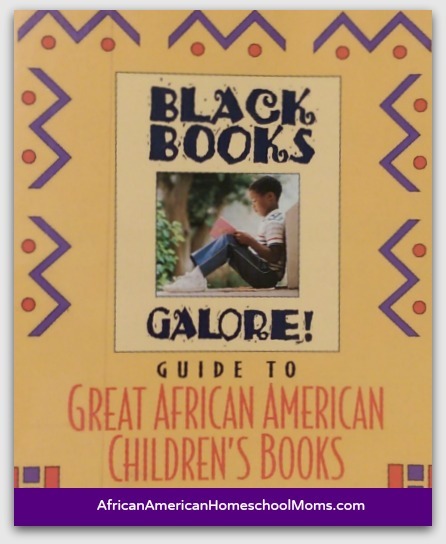 Get a copy of Black Books Galore: Guide to African American Children’s Books and then head to the library to check out the suggested titles or buy your own copies to add to your family library. Once you have the books in hand, get reading right away and consider using the suggested titles to enhance your At Home Summer Reading Program. Enjoy! I will be looking for this resource In Our library. Great post ! It is wonderful resource! I’m planning to purchase the other books soon.